Many-body systems out of equilibrium and/or in the presence of dissipation. Dissipative and/or dynamical phase transitions. Topological phenomena and their extensions to open and/or nonequilibrium systems. Low-dimensional, structured, and/or chiral environments. Non-Markovian dynamics, feedback, and/or continuous monitoring of open systems. The workshop will run from Monday 16th at 9:30 to Wednesday 18th at 15:05pm. Feel free to take a look at the concise schedule or the full book of abstracts. 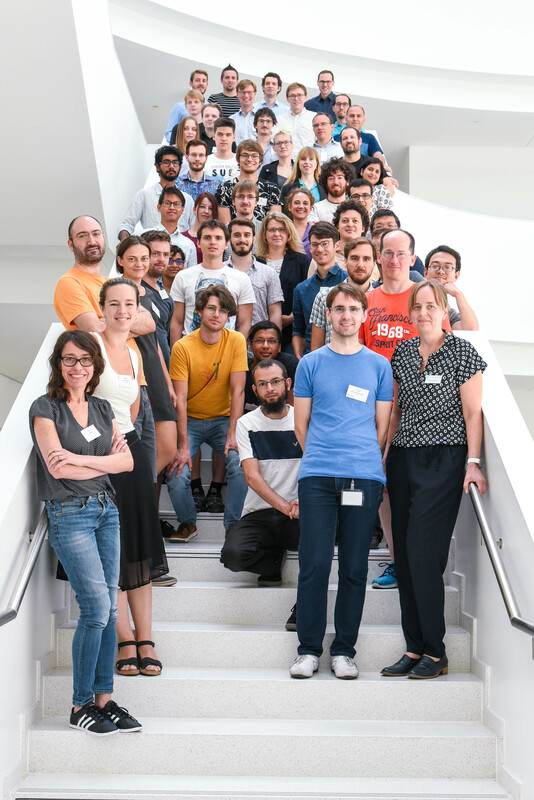 When and Where: Monday to Wednesday, July 16 – 18, 2018, at the brand new building of the Max Planck Institute for the Science of Light in Erlangen, Germany. We have a few slots available for contributed talks. Provide a title and abstract (length and style at your discretion, but below two pages), or refer to your published article or preprint. 4) Will you be presenting a poster? All participants are welcome to do so (unlimited number). All lunches and Monday’s dinner are included. All participants are welcome to attend the conference dinner on Tuesday at their. You can find here the Max Planck Institute for the Science of Light. It is in the south campus of Erlangen, about 30-40 minutes walk from the city center, but easy to reach by bus or bike. In order to find the best routes and bus schedules, we recommend downloading the VGN app for public transportation in the Erlangen/Nuremberg area. Google Maps usually does a good job too, although the bus schedules might not be updated, so combine it with the VGN app.